Throughout this website you will find everything you need for your Northern Beaches Wedding, Vow renewal, Elopement, Christening, Naming Ceremony or Special Occasion on the Northern Beaches in Sydney. If you have any additional question our dedicated Wedding & Special Occasion team are ready to help with every aspect towards creating your perfect day. We’ll get you in & sit down with you to discuss plans and arrangements for this event. 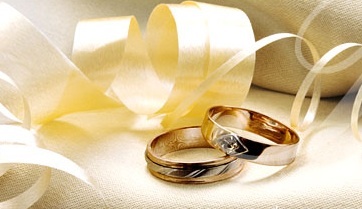 What ever the occasion we’ll deliver, especially when it comes to delivering for the Bride & Groom for their special day. Whether your wedding dreams call for a simple, romantic ceremony on the beach or an elaborate event @ a private house with spectacular views of the scenic northern beaches where here to assist you. At Seka's Beauty Case @101 Darley Beauty Collective we’ll try to provide all the necessary information you’ll need to understand, plan and budget for your northern beaches wedding, renewal of vows or special occasion. Our event organiser specialist has years of experience arranging, planning and organising weddings and special occasions. We can assist you with our Northern Beaches Celebrant services, Wedding cars, Photographer, Stationery, Lolly buffet, Wedding dress, Bridesmaid dress, Flower girl dress, Hairdresser, Make up artist, Beauty treatments, Florist, Music, Jeweler, Cakes, Fitness Program, Weight Loss, Nutrition and complete Makeovers. Should we have missed something we welcome your comments, questions or suggestions regarding our site and invite you to email us at sekasbeautycase@optusnet.com.au or call Sonja – 0412 121 548.